From St. Louis Business Journal: The future operator of the under-construction St. Louis Aquarium at Union Station has named an executive director and curator for the attraction, slated to open in fall 2019. 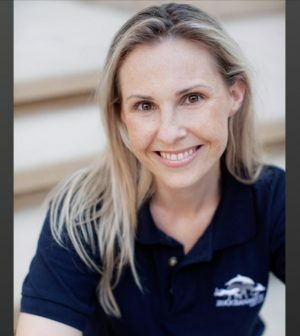 On Wednesday, zoOceanarium Group LLC said Peta Wittig, an executive director who has worked for zoOceanarium for over four years, will be executive director of the new aquarium. Aaron Sprowl has been hired as curator of the St. Louis Aquarium. Erin Clark, zoOceanarium’s director of projects, has been based at the St. Louis site since October 2017, “and it’s now time to expand our team as we head into the key phases of the project,” Chris Davis, managing partner of zoOceanarium Group, said in a statement. Hotel operator Lodging Hospitality Management, which owns Union Station, is in the midst of a $160 million renovation of the former train station into a family entertainment complex, which includes the $45 million aquarium. St. Louis-based PGAV Destinations designed the aquarium, which is being built by St. Louis-based McCarthy Building Cos. Dubai-based zoOceanarium, which specializes in developing and operating aquariums, zoos and wildlife-focused science centers, will operate the 125,000-square-foot aquarium once it’s completed.